Starting January 1, 2015, the CSRD Depot Recycling Program transitioned to a new industry led recycling program managed by Recycle BC. The Province of BC added packaging and printed paper (PPP) to the Recycling Regulation, making the industry responsible for the end of life management of the PPP they produce. The Province selected Recycle BC as the Stewardship group responsible for managing the PPP on behalf of the producers. 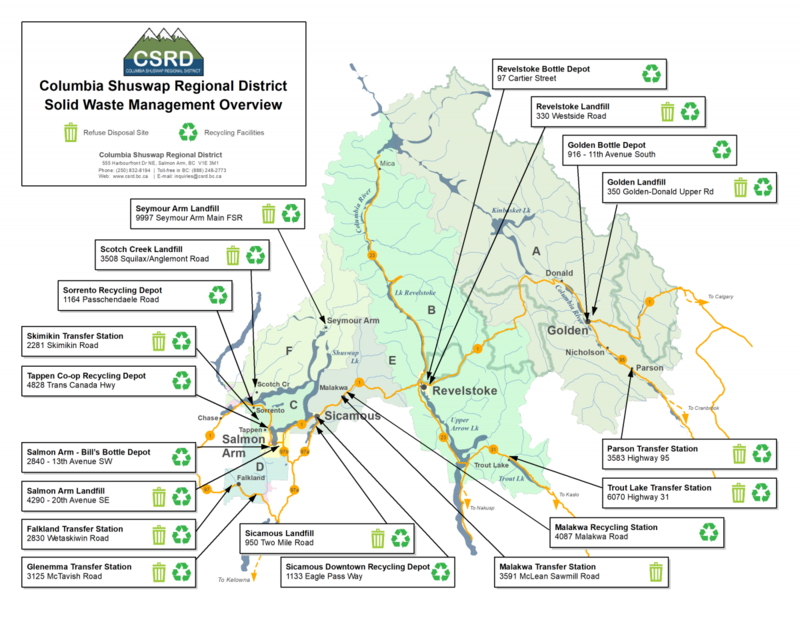 The CSRD has partnered with Recycle BC to deliver the residential recycling program at CSRD Resource Recovery Facilities and downtown locations. The new partnership allows residents to recycle additional items that were not accepted for recycling before, such as: aerosol containers, styrofoam, film plastic (plastic bags), and disposable drink cups.